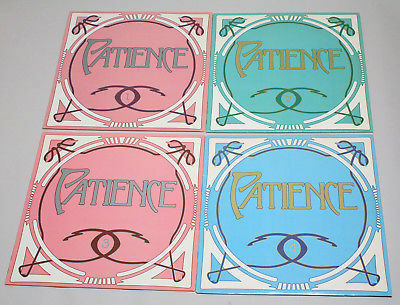 This is for 4 Original 1985 private press LP's of Patience Dabany. Volumes 1 thru 4. Nkoussou Music. Stereo. Covers: EX+ with some corner creases (Vol. 1) Spine and seams are all very good. Grading: M, M-, EX+, EX, EX-, VG+, VG, VG-, G+, G.
Opened records cleaned on VPI machine. U.S. Buyer pays actual shipping plus Handling charge of $7 for INSURANCE, delivery confirmation, sturdy record mailer, cardboard supports and protective sleeves (included in quote). I ship within 3 business days from confirmed payment. Overseas must go by Express mail if over $200 if paid by Paypal. Sorry, no returns on sealed records once opened. Thanks! Leroy Brown Face To Face LP Listen ! Horace Andy Dance Hall Vol 1 LP Listen ! Johnnie Clarke Meets Cornell Campbell LP Listen ! Twinkle Brothers Rasta Pon Top LP Listen ! D-roy Band Runaway Rockers 12" Listen !